RCI has survived all these years since its first broadcast on February 25, 1945, as Canada’s Voice to the World. But now, almost three years after an 80% budget cut that took us off shortwave radio, cutting us off from our listeners, how do you celebrate? How do you not look with some exasperation, regretfully, wistfully, at how little people, even colleagues, know about RCI’s proud achievements, and its path-breaking innovations? The contradictions of how some viewed us and the reality is almost too much to bear. People say we used outdated technology, weren’t moving with the times, and no longer needed to explain Canada to the world. Using shortwave radio we reached every corner of the globe. Using satellite, LPs, tape cassettes, CDs, Facebook, Twitter, partnerships with local stations in other countries, we reached the world’s citizens. People who, surprising as some might find, were very curious about this huge democracy called Canada, that tried to carve out its place in the world, beside the huge super-power to the south. The other day a colleague asked me about a service referred to in French as “Transcriptions” and had no idea what it was about. As I talked about RCI’s record label that recorded Glenn Gould, Oscar Peterson, and a host of other classical, jazz and pop musicians, I saw my colleague’s eyes widen in surprise. I shake my head as I hear people saying we need to change with the times, really get on board with the Internet. I shake my head because some of us were putting RCI on the web before there was a web. The list of RCI’s achievements and all the talented people who worked for it could be the stuff of a television documentary series. But sadly, no one seems interested now. A death by a thousand cuts, such an apt description, such a horrible process. You’d think we would appreciate the experience of 70 years, the achievements of generations of journalists, producers, and technicians. And this week we trot out the old photos, say how great it is that RCI has been around for 70 years. Then we’ll roll up the posters, the displays, and put the awards we’ve won back in the cupboard. We should have been allowed to think and work for the future. Because, our mandate to tell the world about Canada in a contextualized way, understandable to anyone, even someone who’s never been here, hasn’t gone away. Nor has the need for the honest journalism that many of us believe in, a journalism so necessary for those listening to what a country like us had to deal with and has to offer. 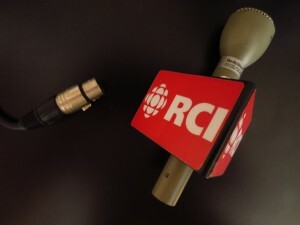 Wouldn’t it be incredible, if after the celebrations, we could concretely renew Radio Canada International? Build on our strengths and our experience, and not be limited by false constraints? Lovely dream.